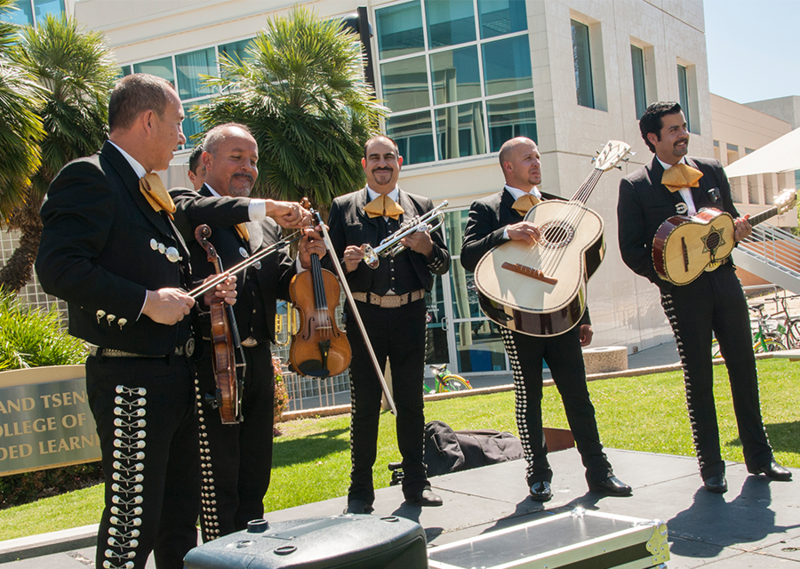 A mariachi band plays live music at the Campus Store Complex lawn during the Cesar Chavez Service Fair in 2018. Photo by Patricia Carrillo. 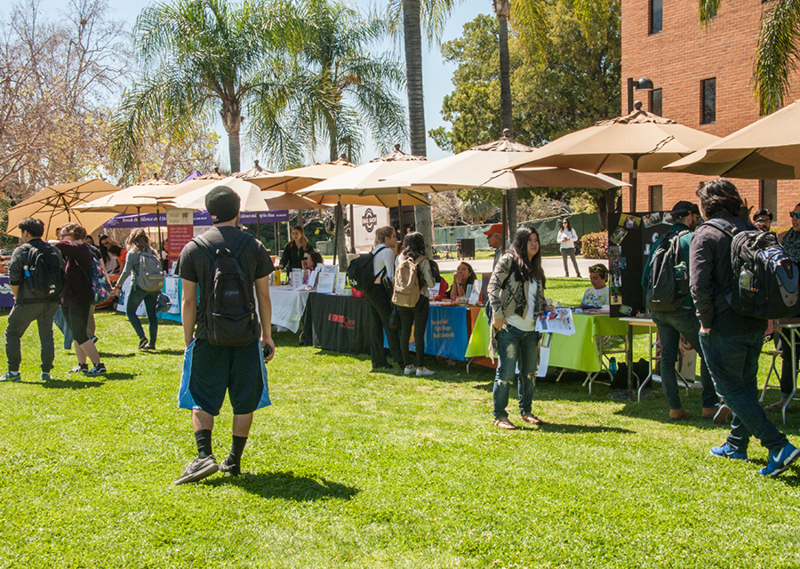 Local nonprofits set up at the Campus Store Complex lawn to introduce the CSUN community about how they can participate in their organizations during the Cesar Chavez Service Fair in 2018. Photo by Patricia Carrillo. 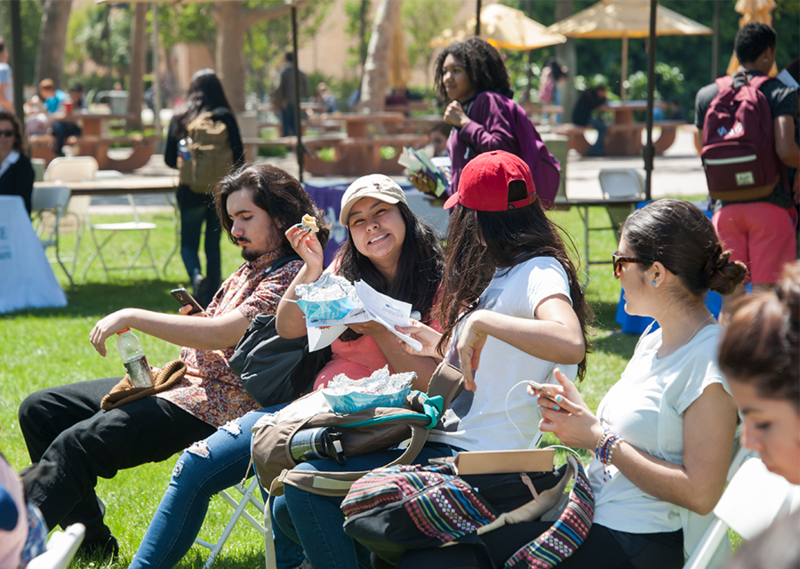 CSUN students enjoy free tacos at the Campus Store Complex lawn during the Cesar Chavez Service Fair in 2017. Photo by Luis Garcia. Fair attendees make free tacos at the taco station of the Cesar Chavez Service Fair 2017 at the Campus Store Complex lawn. Photo by Luis Garcia. Cesar Chavez Day is a fairly recent national observance, but California State University, Northridge has been celebrating the life and service of the late American labor leader and Latino civil rights activist for much longer. 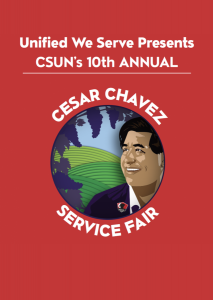 Every year for the past decade, CSUN’s volunteer program, Unified We Serve, has hosted the Cesar Chavez Service Fair to promote social action and service among members of the CSUN community. To help more students and staff discover the benefits of volunteerism and community service, Unified We Serve has invited nonprofits from the San Fernando Valley area to participate in the fair, where they will offer information about their organizations’ objectives and opportunities for internships and volunteering. More than 25 organizations are scheduled to participate, including Southern California Blood Services Region of the American Red Cross, Dignity Health, Los Angeles Regional Food Bank, California Science Center, CalFresh and CSUN’s MenCARE Peer Education Program. 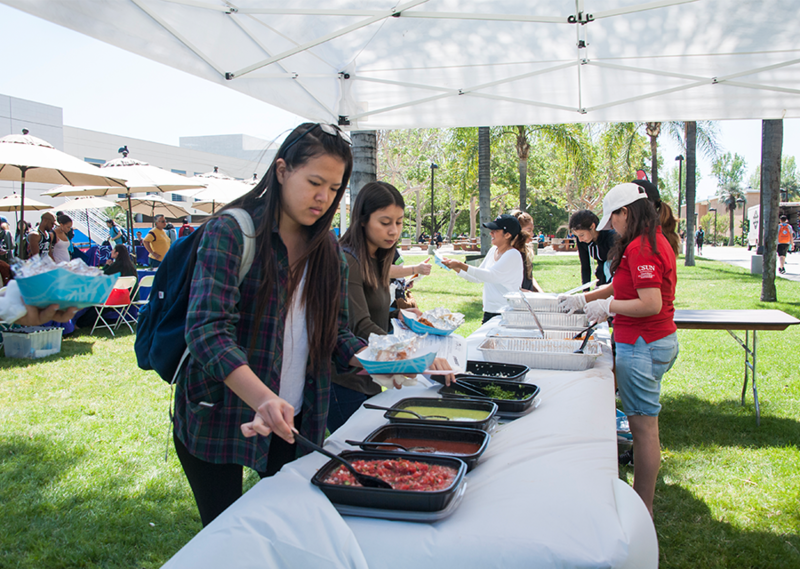 “The event is a way to put service at the forefront of engagement,” said Maria Elizondo, coordinator of volunteer and community involvement at CSUN’s Matador Involvement Center. Unified We Serve, operating under the Matador Involvement Center, gives CSUN students opportunities to volunteer in activities and events dedicated to serving the local community. For more information about the program and how to participate, visit https://www.csun.edu/mic/volunteer.